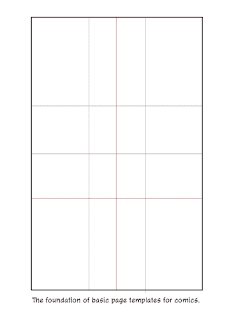 The basic comic page grid. 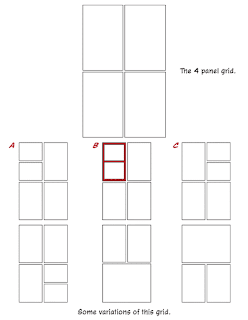 Here is what forms the basis of the standard grids used in comics and graphic novels. You can use this as a starting point to create your own grids to meet your story needs. Hey, it can be all diagonal panels. Just make it work! Sorry, I was having a Tim Gunn moment. The grid choice should serve the story. For example, you may want to use standard rectangles for the pedestrian parts of the story and then always use diagonal panels whenever there is action. I study and dissect what artists do and do not do. 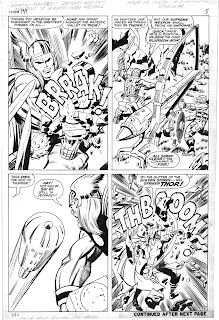 I met the great Gene Colan and talked to him for a while. After gauging that he seemed to be a nice guy and guessing he might not go off on me I told him, 'I noticed you use diagonal panels in your action scenes, so I stole that from you,' he laughed and said "That's okay. I stole it from somebody too." We both laughed and talked some more about the art form we love. Now let's look at what can be done with the grid. 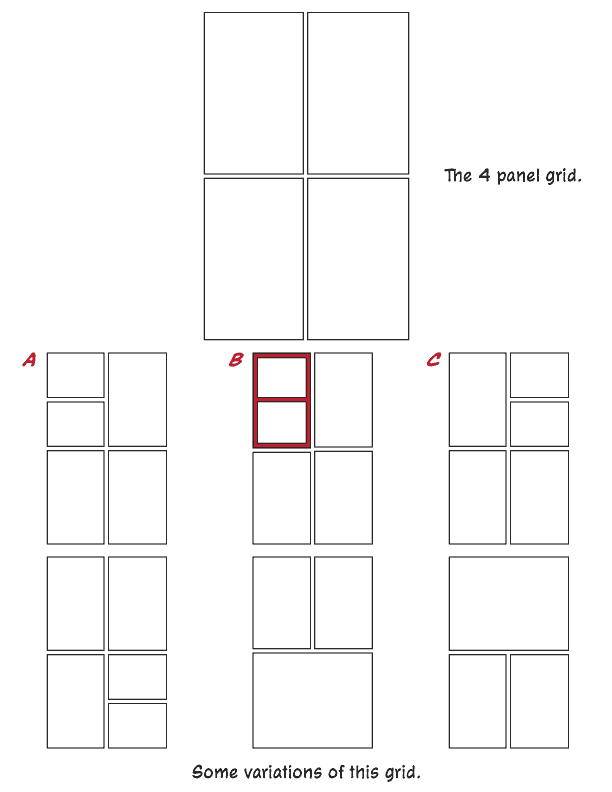 Here's the 4 panel grid. Now Variation A presents a problem in western culture and Variation C presents a problem in eastern cultures. In the west we read from left to right, top to bottom. 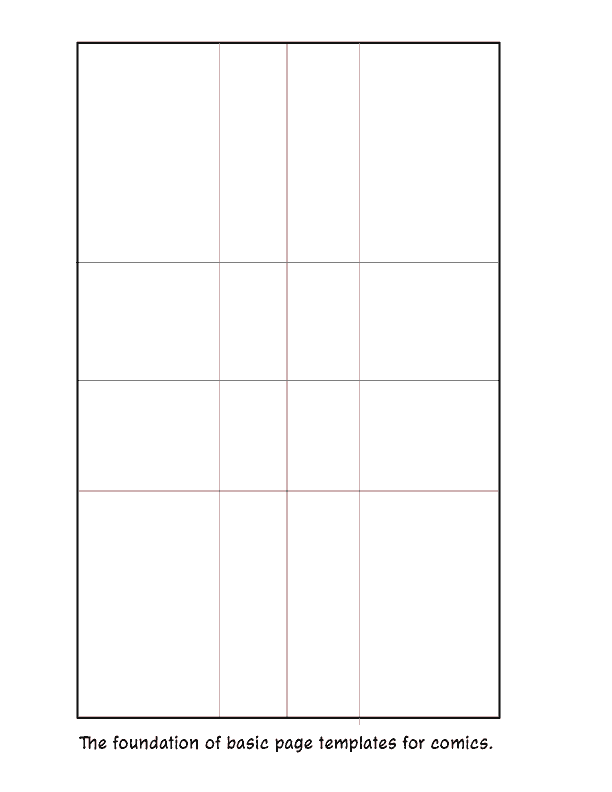 with Variation A the western reader's natural tendency will be to go from the first panel to the panel on left next, thereby missing the content of the small left bottom panel. In the east, they read from right to left, top to bottom and Variation C presents the same issue. One way to be sure the two small panels are read first is to give the reader some clues, such as the border in Variation B. I've highlighted the border red here to emphasize it for you now, but by no means take this to mean you have to make that border red. Ideally you never want to have a set of panels down the left side that have to be read first. It will be confusing to the reader. However, if you approach the page as a design (as I do most of the time) then you may find yourself in a situation where this is the best solution. I'll discuss this more when I discuss page design. 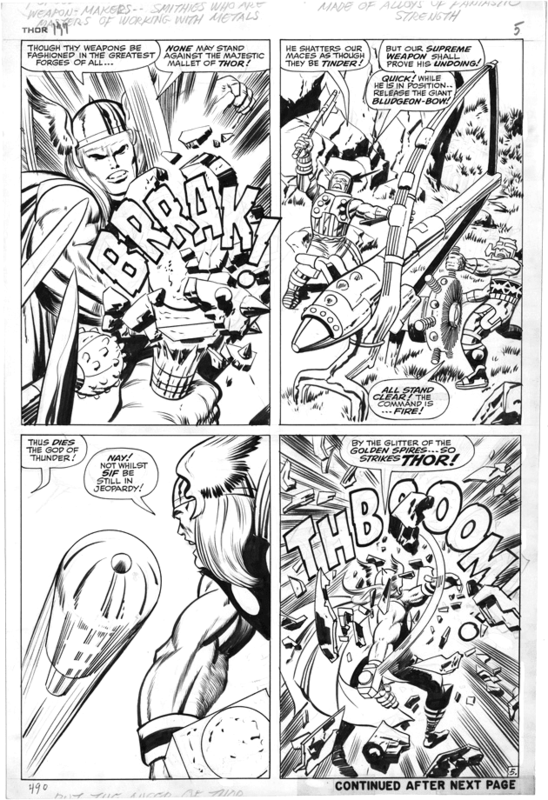 Jack Kirby usually used this grid a lot to show big action and Asgard in The Mighty Thor comic books. After all the Viking gods are too awesome to be contained by a mere 9 panel grid. He used the 6 panel grid for earth bound moments. Keep reading and share with your friends. Please comment. Just create! copyright 2012 H. Simpson. Other art copyright their respective copyright holders.